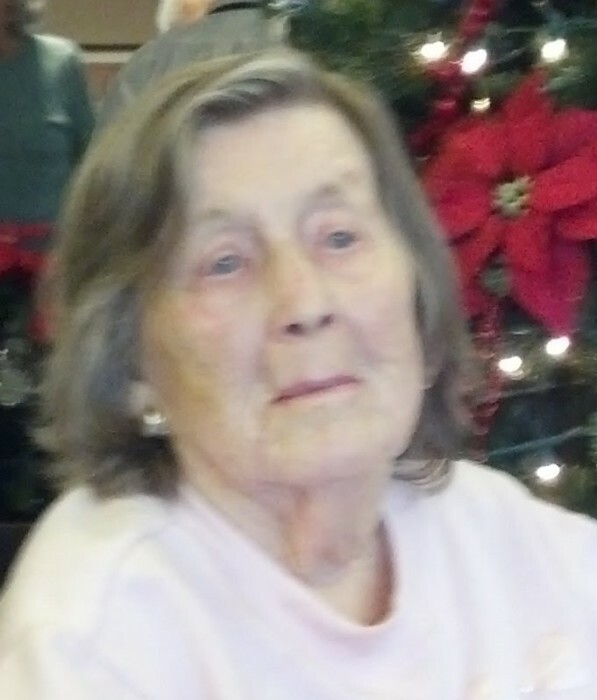 Mildred C. Hall, 97, of Laurel, Maryland, passed away peacefully on January 26, 2019 at Morningside House of Laurel from Dementia. She was born December 12, 1921 in Washington, DC, to Francis Cleveland Flora and Mary Frances Spalding Flora. Mildred retired from American Postal Workers Union as a claims processor. Following retirement, Mildred and her late husband Ellis (Jr.) Hall began their love of travel in their motor home visitng almost every state. They would spend winters in Florida. They were members of the Good Sam Travel Club and loved traveling and camping with their friends. She enjoyed sewing, crocheting, counted cross-stitch, cooking and gardening. She was known for her delicious homemade yeast dinner rolls, strawberry shortcakes and Golden Delicious apple pies. She is survived by her son Jerry Hall (Kay), daughters Sharon Mitchell (the late Steward Mitchell), Marlene Collins (Jimmy), 11 grandchildren, 25 great grandchildren and 10 great great grandchildren. She was preceded in death by her husband of 75 years, Ellis Cleveland Hall, Jr., both her parents and her three sisters Myrtle Flora, Edith Jones and Dolly Trainum. Visitation will be Friday, February 1, 2019, in the Chapel at Donaldson Funeral Home,P.A. 313 Talbot Avenue, Laurel, MD 20707 from 11:00a.m. to 12:00 noon. The Funeral Service will follow at 12:00 noon followed by interment at George Washington Memorial Cemetery in Adelphi, MD. In lieu of flowers, memorial donations may be made to the Alzheimer’s Foundation of America.